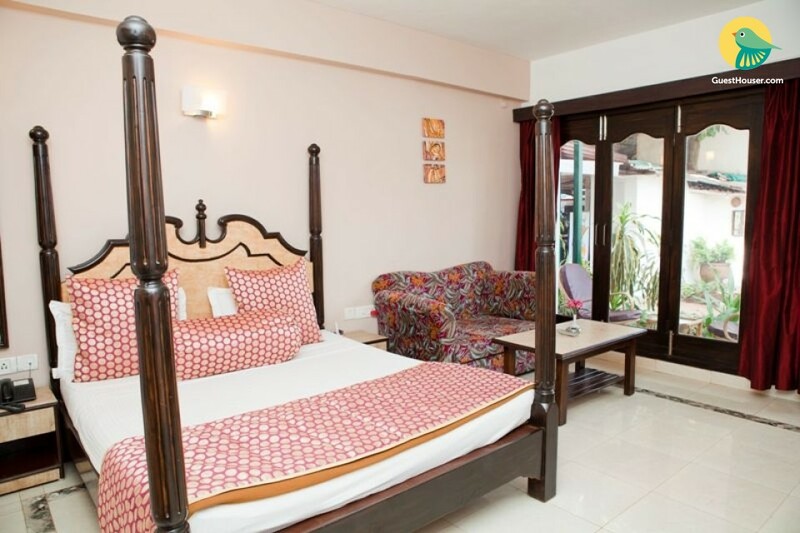 Set before an airy porch that is equipped with cane chairs and a breakfast table for comfortable seating, this spacious suite is a budgeted luxury accommodation that is ideal for those who seek style within budget. 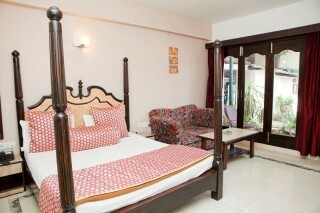 Well-appointed with a comfortable double bed, a desk, a loveseat, and fluffy cushions, the bedroom is cosy and convenient. The attached bathroom is tiled and equipped with modern sanitary ware. 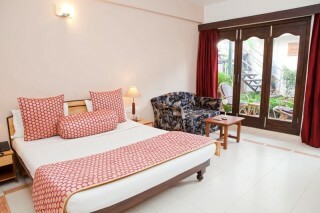 The rooms are well designed and elegantly decorated. The room ambience is warm and appealing. The in-room amenities include air conditioning, color television, safe, tea/coffee maker, mini bar, and telephone.DJ nights to entertain its patrons. The Beach Side shack is well suited for breakfast with speciality dishes. The patio restaurant with elegant ambience serves gourmet delicacies from across the world. It is located at Khobra Vaddo, Calangute, Bardez in Goa. Popular places of attraction Baga Beach (Approx. 1km) and Our Lady of Piety Chapel (Approx. 0.5km) are located in the vicinity of the resort. Baga Beach is famous for its water sports and dolphin cruises. One can experience the night life of Goa at Baga Beach. Other interesting destinations include Alorna Fort, Amthane Dam and Ancestral Goa Museum.